At Cornwall Chiropractic, we believe that it is not enough for us to resolve the immediate muscle and/or joint issue which is causing your problem. We must also consider other matters such as your posture, how you react to pain, to your environment, fitness levels and even psychological factors too. A range of advice and support is made available which may include bespoke exercises, postural stability, ergonomic education, podiatry, pain coping strategies, and relaxation. The key to all of this is that we work together on a personal plan that works for you. 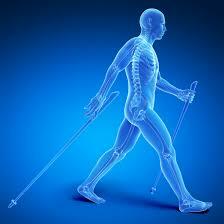 This way, proper rehabilitation will lead to the best possible outcome for you. All tissue growth and repair is influenced by gravity (mechanical loading) and our posture, and it has been shown that good posture minimises the stresses on the body. If untreated, the altered alignment of the body may lead to poor healing of tissue, and (sub optimal) changes in muscle, ligament, bone and the central nervous system. By setting out a treatment plan that includes both manipulation of the joints and muscles and bespoke exercises, chiropractors can achieve better outcomes. The fear of pain and how it impacts one’s daily life is often is often a bigger factor for patients than the pain itself. Pain coping strategies which reduce fear, anxiety, and depression are therefore often essential to a successful outcome. Rehabilitation at the Cornwall Chiropractic Clinic embraces a range of skills for assessing and treating patients that include working with muscles and soft tissue, relaxation, enhancing balance, core strength, and lifestyle changes.